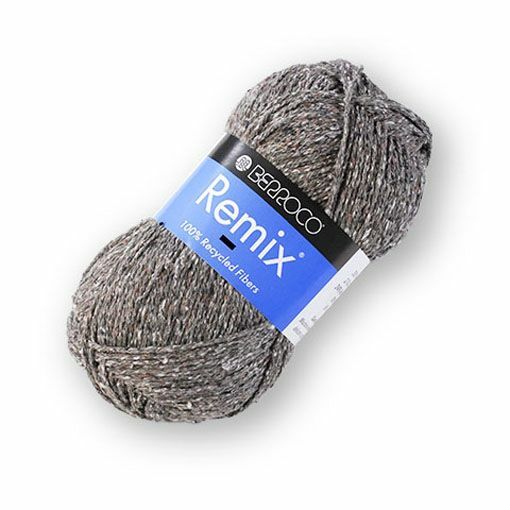 Made of 100% recycled fibers, Berroco Remix will present a tweedy fabric with wonderful drape that accompanies the blend of nylon, cotton, acrylic, silk and linen. Remix works up at a unique gauge of 17 stitches per 4 inches. Finished projects are machine washable in cold water. 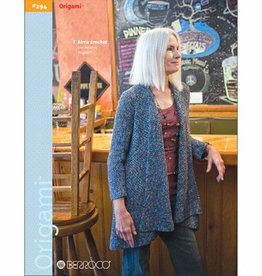 This yarn is a favorite tweed for non-wool lovers. 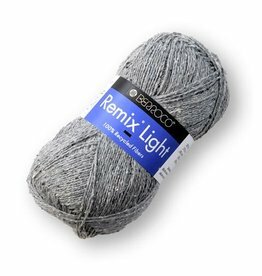 Berroco Remix Light is a dk weight yarn composed of a blend of 100% recycled fibers. You'll love wearing garments knit out of this warm weather favorite.